This brilliant array will make you the ultimate classic beauty at the next event you attend. 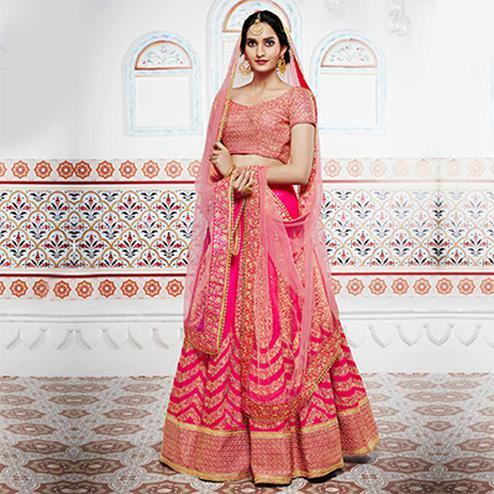 Real elegance will come out out of your dressing style and design with this yellow and peach lehenga choli. 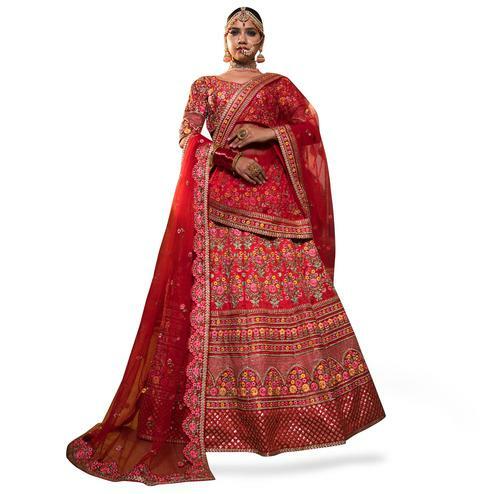 The lehenga is beautified with zari embroidery and hand work on handloom silk. 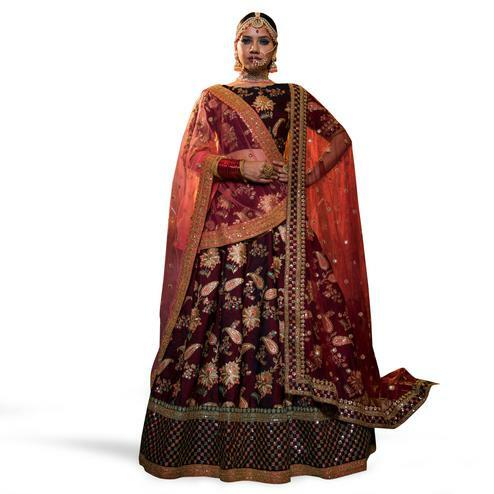 The chikoo colored choli is made of shiny raw silk with embroidery work to give an glamorous look. The peach dupatta is made of banarsi silk jacquard with zari embroidered work border. Specially designed to wear for wedding functions engagement ceremonies and special occasions. Teaming this dress with golden jewelry would be an added attraction.